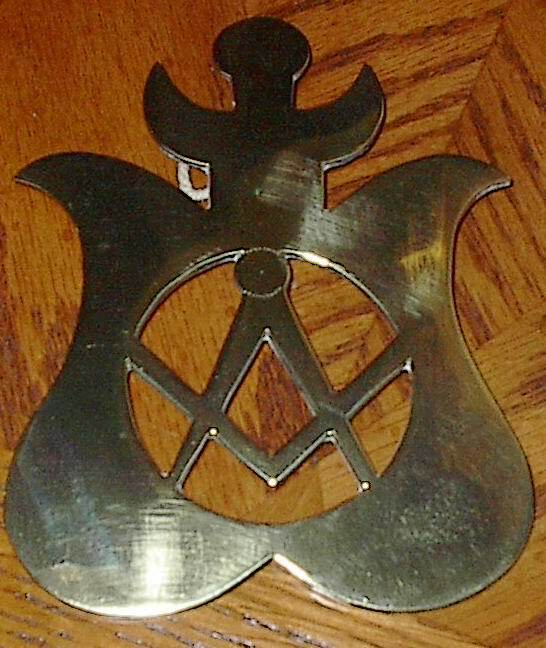 Many lodges, in trying to recover those bits and pieces of their Masonic history, are finding that much of the memorabilia is closer than they think. Many members of various lodges have, over the years, collected various beautiful jewels, old Books of Bylaws, photographs, rings and so many other items that make up the mosaic of not only our history, but tell us of those who have gone before us. This information is fascinating and important to each lodge and to the respective members. On this page, we are going to endeavour to present items of interest to you. As stated above, they may be pictures of jewellery, old books, old regalia or stories of interest to all the brethren. The idea is to share this information. It serves no purpose at the bottom of an old drawer or in a box in the attic. History is a record of the roots of our fraternity in Sarnia District. In the years to come, there will be more than a few brethren who will look back on our efforts with kindness and gratitude for keeping the records of who we are and whence we came, for these records will become theirs in the end. To start the ball rolling, the following is what was, at one time called a horse brass, or an adornment for the harness of a horse. On draft horses it would typically have been found on the martingale or chest strap. This particular piece is dated at about 1780. It has been cleaned up to its present state. It was common to the British Isles throughout the 17th Century. 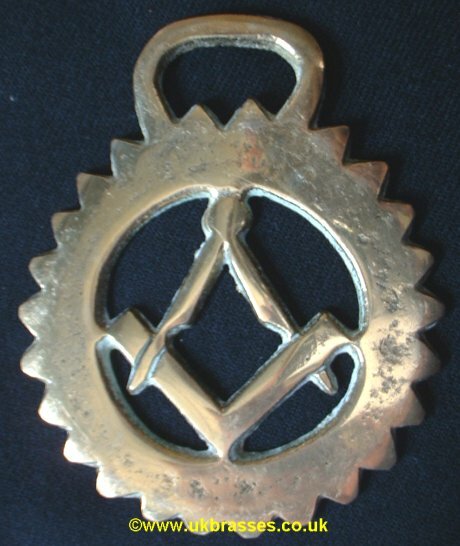 This particular brass is 3½" high and 3" across. The following horse brass is somewhat larger than that above. It is 4¼" wide and 5½" high. This style of brass was found on large draft horses that were so common for heavy freight transfer in the old days. Both of these brasses are fine examples of the type of artwork that available in days gone by. Ideally, these breasses would have been used for parades. © Copyright Sarnia District Freemasons, All Rights Reserved.